The most sophisticated and attractively-looking theme, which highlights your company individuality is Insightis! It will suit your marketing or creative agency and tell your visitors about all its benefits! 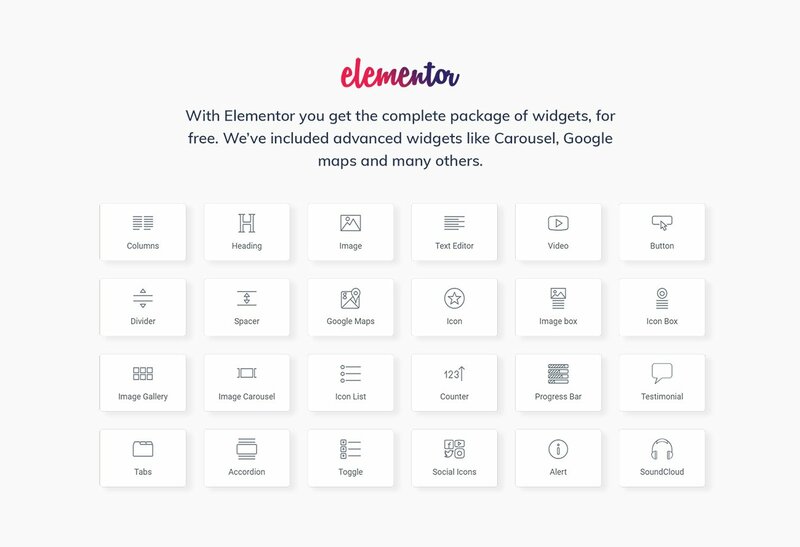 The theme comes with Elementor page builder and brand-new Jet Family plugins, which will add functionality to your site at ease! Creative Minimal Theme is equipped with JetThemeCore plugin, which allows to create custom-made headers and footers, as well as use pre-designed ones and customize them according to your needs and vision. Except these plugins, with Insightis you will get powerful Jet Family plugins - JetElements plugin - a special addon for Elementor, loaded with multiple exquisite modules. JetBlock plugin makes it extra easy to add authorization links, hamburger panels, login forms and customize other elements. 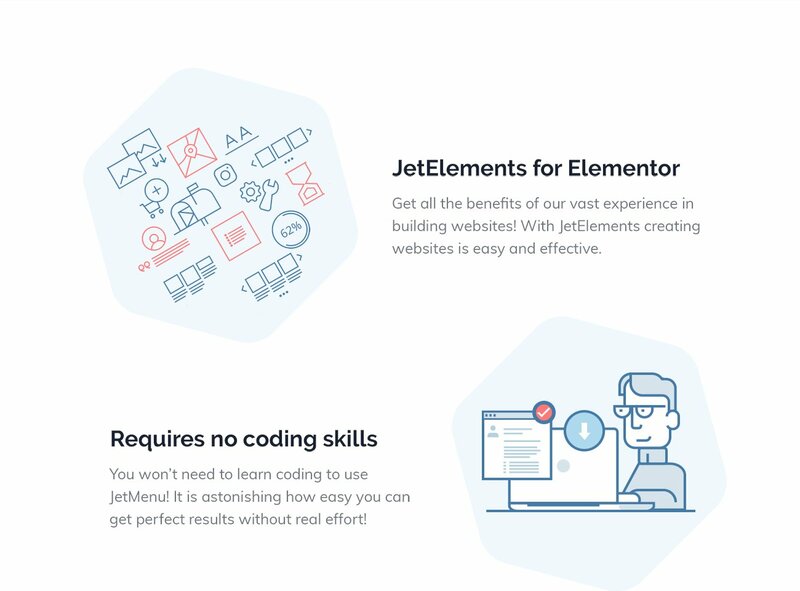 JetTabs, in turns, allows adding stylish tabs and accordion widgets with vertical and horizontal layouts and building content inside them using Elementor live page builder widgets. JetTricks is a brand-new plugin, specially developed to add attractive visual effects, including animation and parallax. 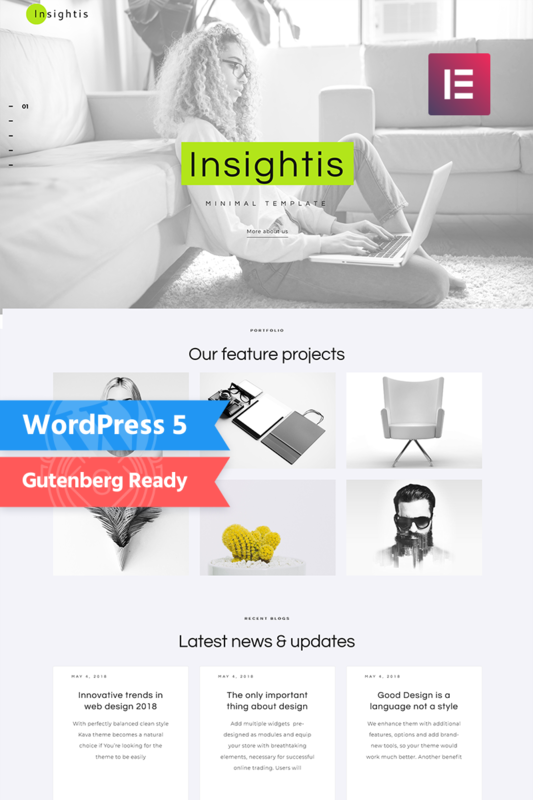 Insightis themeâ€™s design was created by high-class expert and youâ€™ll appreciate visual effects of this stunning and modern theme from the first glance! Great theme! Mobile friend and responsive. I would recommend to anyone!